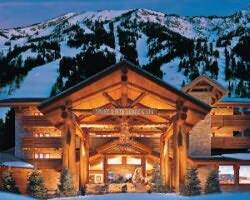 Tours de Sport's Blog: Jackson Hole Slopeside lodging on sale. 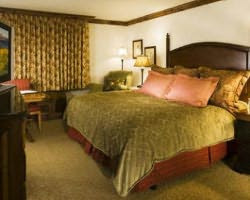 Jackson Hole Slopeside lodging on sale. Snake River Lodge & Spa - Winter Super Sale. Save an additional 10-40% on your visit! Snake River Lodge - Winter Super Sale! Discounts of 10-40% on selected dates through the end of the season!!! Located in Teton Village, Snake River Lodge offers deluxe hotel rooms, Indoor/outdoor heated pool with cascading waterfalls, warmed walkways, a hot tub tucked into a steam-filled cave, and a sauna. Other amenities include; fitness center, spa, high speed and wireless internet, fireside bar, restaurant, valet parking, and daily housekeeping. Valid for all hotel rooms. Valid for all condo units. Valid for all room types, including condos. All reservations must meet regular minimum stay requirements. Not valid on existing reservations. Subject to availabilty and blackouts.Complete any online quote for listed unit types and appropriate discount will be automatically applied. If you prefer, contact your sales representative for assistance & additional details @ 888-754-2167.